A pack of 2000+ lot texures already in use on numerous lots. This is essentially the same as the texture pack on the STEX, but has had some overlay textures with duplicate IIDs removed. 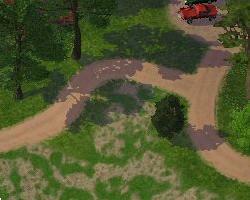 Some of the dirt trail overlay textures have also received minor cosmetic changes. EDIT: Just a note to clarify. This is the same file as BSC_TexturePack_Cycledogg_V 01.dat, which has been on the STEX for a year or so. There have only been a few minor changes, as mentioned above. If you have the old one, it's not imperative that you download this one, (though you can if you want to, of course). If you decide download this one, be sure to remove the old one from your plugins.